Sometimes, Database Administrators – DBAs, encounter a problem which usually is not common, though the chances of its sudden appearance are positive – the problem we’re addressing here is Suspect Mode. In rare situations, database administrators find that the SQL Database has become inaccessible and marked with the word Suspect. In this article, we’ll discuss regarding the database suspect mode situation and things like what the consequences will be if you encounter the same and will walk you through some tips to recover SQL Database from suspect mode. What Happens When SQL Server Marks the Database as Suspect? Before we start, let us see what happens when the SQL Server marks the database as Suspect? Whenever a database receives the Suspect stamp from the SQL Server, it turns inaccessible and reflects the risk of data loss, straight. 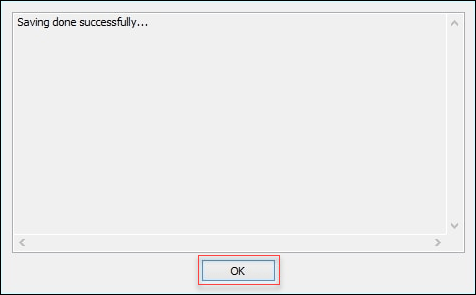 In other fine words, because of the damaged primary file group, the database gets marked as Suspect, as it becomes inaccessible during the startup of SQL Server. What Causes the Database to be Marked as Suspect? There lay many reasons that can lead to the same scenario, as each time why it happened the reason behind may vary. Database server faces improper shutdown. Unavailability of the database resource. Incorrect assertion of free data page space upon insertion of a new row. 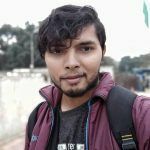 SQL cannot finish a roll forward and roll back operation. The issue of Suspect Mode can be addressed via different ways – specifically two, the first method requires the use of SQL statement parameters and the second is the direct recommendation to use SQL Database backups. We’ll start by resetting the database status using which will turn off the suspect flag on the database. yourDBname is the example database name, change it with a real database name. 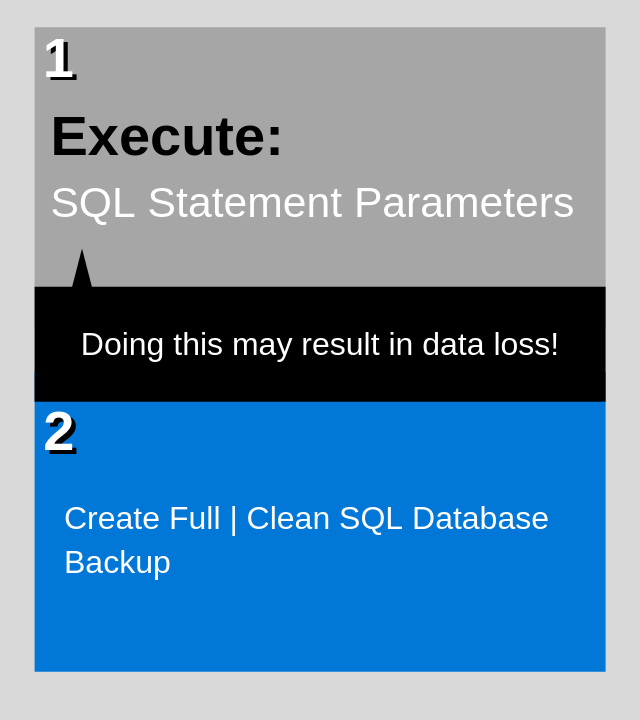 This SQL statement parameter will change the database state and set it to Emergency to provide flexibility to perform tasks on a corrupt/suspect SQL database. 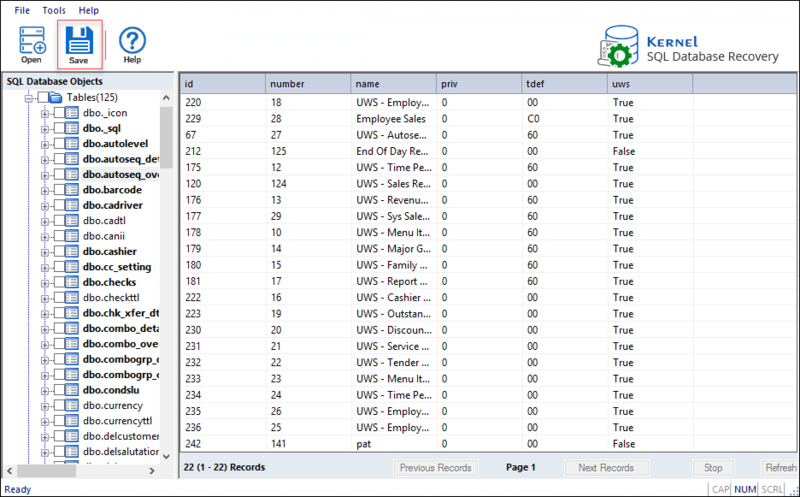 This statement will initiate a consistency check on the select database to find out changes or loss of data such as rows or columns. Again, change yourDBname with your database name. Executing DBCC checkdb can produce distinct results, which can decide whether to proceed with SQL statement parameters any further or not. For some cases, executing DBCC checkdb can fix the issue by resetting the database status, to confirm this check your database status, if the status has changed stop here and don’t proceed with the next step. If the database status didn’t change after the above statement execution, try running EXEC sp_resetstatus ‘yourDBname’; and database status again, if the change reflects the issue is gone. In case if an inconsistency is detected, proceed to the next step. This SQL statement will initiate rollback all running transactions and set the SQL Server database in single user mode for maintenance purpose. Upon completion of SQL server database repair – initiated in step-5, this statement will set the database back to multi-user mode. Executing the above SQL statement parameter can fix the Suspect issue, execute as per the instructions mentioned above under notes. If no inconsistency is found in step-3, there is no need for step 4-6 but go through the points given in step-3 and proceed as per the result you receive. DBCC CheckDB -When Exactly to Run this SQL Statement? If Executed, What the Consequences Will Be? The data will be lost for sure if this SQL statement is executed, and afterward, the user – DBA or admin, is left with another job of retrieving the lost data, which is not possible. Running this SQL statement affects business and the organization will suffer, as the lost data can’t be recovered back. The SQL Server Database cannot revert to the earlier state. Note, When Inconsistency is Not Found in Step-3? We strictly recommend not to run this SQL statement if no inconsistency is found in the SQL database, otherwise risk of data loss will be there. What to Do When Native or Recommended Methods Fail? When the issue of database file corruption or damage or suspect mode occurs, in some cases due to the error ferocity, it becomes almost impossible to fix the issue and recover data. The chances of the corrupt or damaged database file(s) recovery also turn negative in the absence of a full SQL Server Database backup. In similar scenarios like this, it is best to make use of a professional and advanced tool that is made to fix these problems, Kernel for SQL Database Recovery fills the space perfectly when none of the native approaches comes handy. It is one stop shop for all SQL Database file(s) issues, name it, file(s) corruption or damage or suspect status. It enables you to recover all database objects and is compatible with both MDF & NDF database file(s). Live recovery to SQL Server, creation of backup of the database after restoration in the script, and wide compatibility with versions of SQL Server are a few highlight features of SQL Database Recovery tool from many. Open SQL Database Recovery tool. Click Browse to select the corrupt or damaged SQL Server Database file and click Recover. In case, if the database version is not selected, uncheck Auto detect database version option, and select manually. 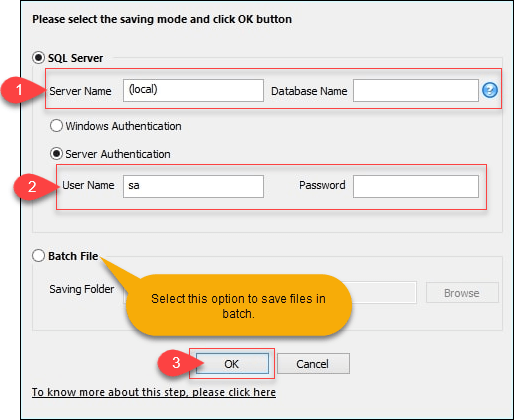 Select Batch File option, to save in batch file. Wait for the saving process to compete. In case, if something went wrong or you want to adjust something, click Stop. Corrupt or damaged, SQL Database file(s) are recovered successfully, click Ok.
You’ve successfully repaired the corrupt or damaged or suspect marked SQL Server Database file. 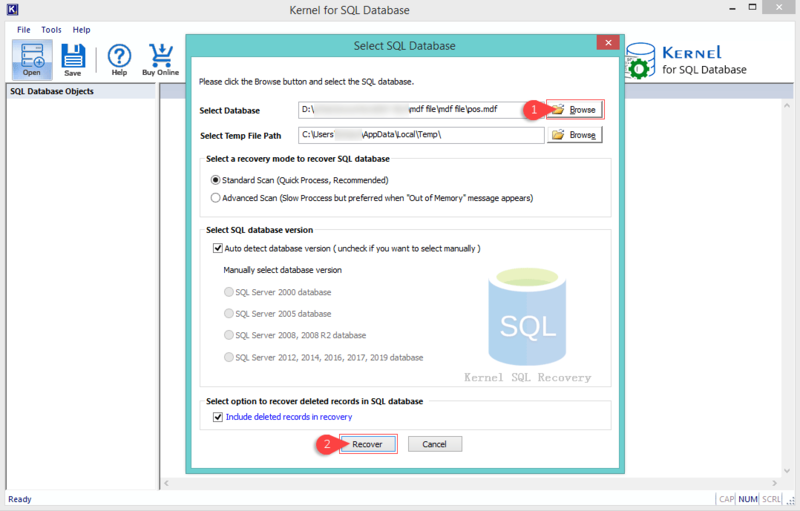 Full SQL Server Database backup is what that can help in worst-case scenarios like SQL suspect mode, but when there stands no option left, Kernel for SQL Database Recovery is the best solution to all SQL database file(s) errors and issues. It offers minimal options to keep things simple which makes it much user-friendly. How to Rename a SQL Server Database? Fix Recovery Pending State in SQL Server Database? Methods To Recover SQL Database Without Backup?